Yesterday, George Osborne, Britain’s Conservative Party finance minister-in-waiting, did something extraordinary. We can’t remember anything like it. He told the truth. "We are sinking in a sea of debt," he admitted. And on the very day when France’s president, Nicolas Sarkozy, said he would not raise taxes, Osborne said that he would not lower them. In order to lighten Britain’s debt, he’d leave Labor’s 50% maximum tax rate right where it is. Voters don’t like hearing about debt. Politicians don’t like talking about it. And economists don’t want to think about it. And in a kind of collective suicide pact, they have all agreed not to worry about it. But debt is at the center of the world’s financial troubles. Paying off debt is like dying. You try to put it off as long as you can. But nobody runs an open tab forever. For much of history, failing to repay debt was regarded as not merely a breach of contract, but a crime. People who failed to repay their debts in timely fashion were thought to have stolen from their lenders; they were put in prison. In the Middle Ages even a dead debtor’s children could be sent to prison. Now, bankruptcy laws allow individuals and businesses to go to rehab. Then, they can stiff creditors again. Neither sin nor crime, debt is now just a cost of doing business. But few creditors are as forgiving — or perhaps as forgetful — as those who lend to governments. 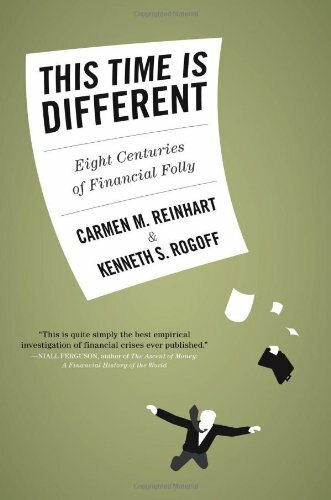 That is the conclusion of a new book by Carmen Reinhart and Kenneth Rogoff, This Time It’s Different. 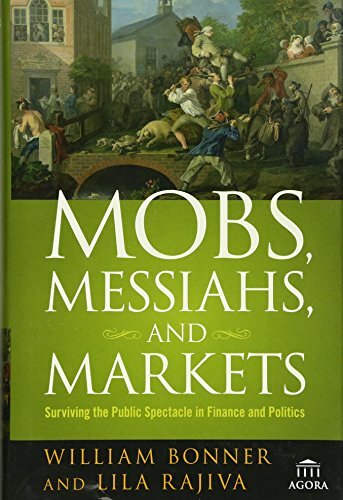 The two professors document the history of eight centuries of "financial folly." What we learn from it is what we already knew — that borrowers are often perfidious, crises are usually insidious, and bankers are morons. Just five years ago, Ben Bernanke looked out on the calm seas of the Bubble Era. "The Great Moderation," he called it. Bernanke took the credit. It was due to "improved macro-economic policies," he said. In retrospect, he probably should have said it was just luck and left it at that. His macro-economic policies made things worse, encouraging all sectors of the economy to borrow. We know what this did to Hinckley. Riding low in the water, with too much debt heaped on its deck, the yacht maker struggles to stay afloat. But what’s new, ask Reinhart and Rogoff? Always and everywhere, debt leads to trouble. Too much debt caused France to default on its sovereign debt eight times. Spain defaulted six times before 1800 and then another seven times later. Latin America, as the authors point out, would have been safer for bankers if the printing press had never made its way across the Atlantic. 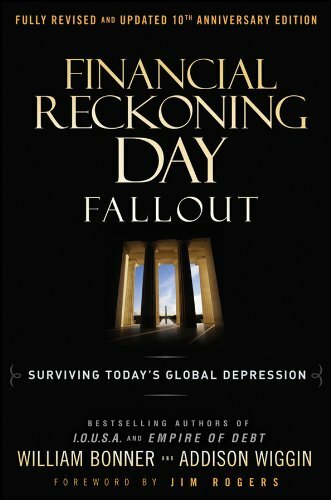 Between hyperinflation, defaults and banking debacles — over two centuries — the banana republics scammed banks out of billions. In the ’80s, Nicholas Brady tried to rescue New York bankers with his US- backed "Brady bonds." Readers of these back-page columns can guess what happened next. Within a few years, seven of the 17 countries that had undertaken a Brady-type restructuring had as much or more debt than they had before. By 2003, four members of the Brady bunch had once again defaulted and by 2008 Ecuador had defaulted twice. Even non-existent countries go broke. In 1822, "General Sir" Gregor MacGregor issued bonds from a fictitious country he called Poyais, whose capital city, Saint Joseph, was described by the offering prospectus as having "broad boulevards, colonnaded buildings and a splendid domed cathedral." The bonds sold at lower yields than those of Chile. But it didn’t matter whether the country was real or imagined, all of them defaulted. As for the present slump, the authors offer no predictions, but some guidelines. In the run-of-the-mill crisis, real housing prices generally go down 36% over a six-year period. GDP, in real terms, per capita typically goes down 9.3% while unemployment rates go up for five years, with a "normal" increase of about 7 percentage points. But the closest parallel to the present circumstance, which they call "the Great Contraction," is the Great Depression of the 1930s — which was much worse. Unemployment in Germany and Denmark rose over 30%. Building activity fell 82% in the United States. Chile saw a 90% collapse in its exports. Tax revenues fall in an economic slump. Government expenses increase (especially when the authorities are ready to do "whatever it takes" to stir a recovery). 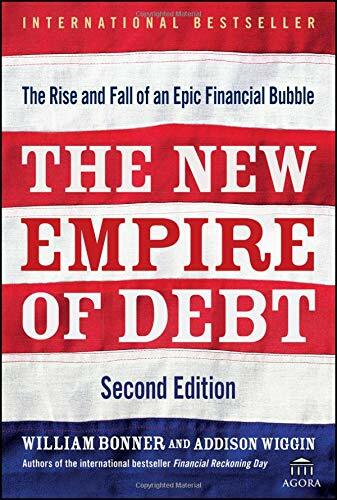 Typically, say Reinhart and Rogoff, public debt increases 86% over a three-year period following a financial calamity. Then come more catastrophes, caused by too much debt in the public sector. Both Britain and America are now running deficits of more than 10% of GDP. Neither has a creditable plan for reducing debt or deficits. So stay tuned. Much more trouble lies ahead. Previous article by Bill Bonner: Is the Economy Growing?